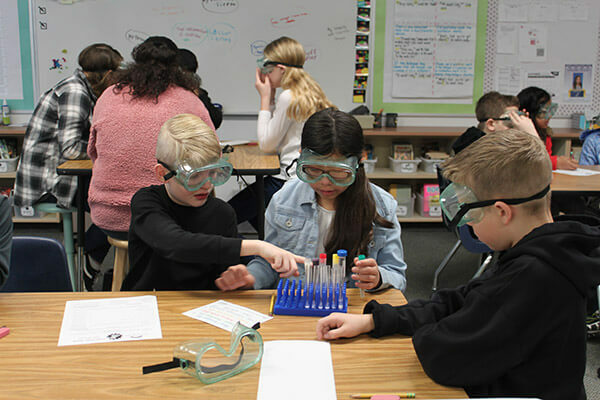 The Discovery Gateway Museum recently visited the fifth graders at Lakeview Elementary to showcase a chemistry experiment that caused reactions through combining chemicals in test tubes. The fifth graders gathered information about their experiment from Mimi Andrews, the outreach educator. She began the demonstration by going over safety procedures. 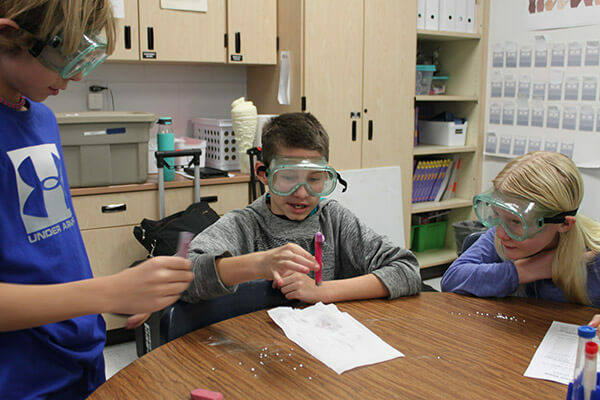 Everyone was told to wear safety goggles at all times and advised of other safety measures. 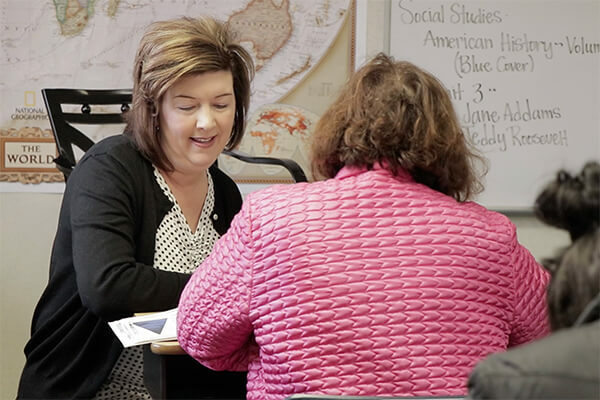 Then, she organized the students into groups. 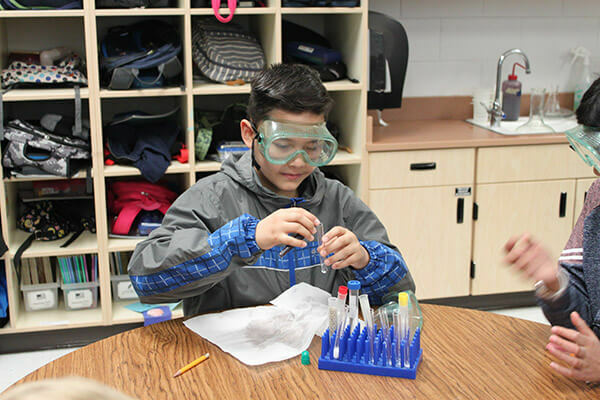 Each group received a container of test tubes that held different chemicals which included vinegar, fertilizer, baking soda, road salt, cabbage juice and milk. 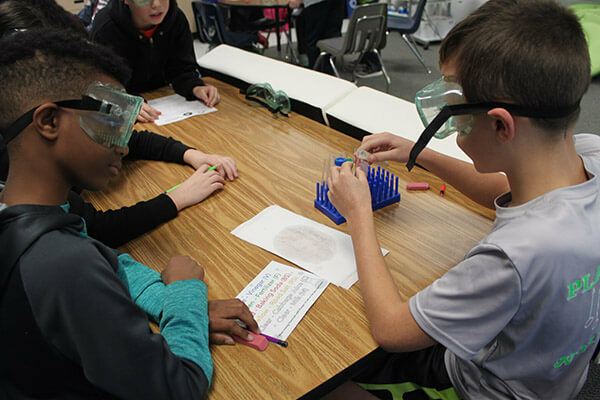 Each team member had the chance to mix any two together in an empty test tube and conduct observations on a worksheet. Some reactions made the test tube warmer, while others began to bubble up. They also had to differentiate between a physical and chemical reaction. Once all team members had a turn, they were able to combine all of the chemicals together, as they took notes of the observation. 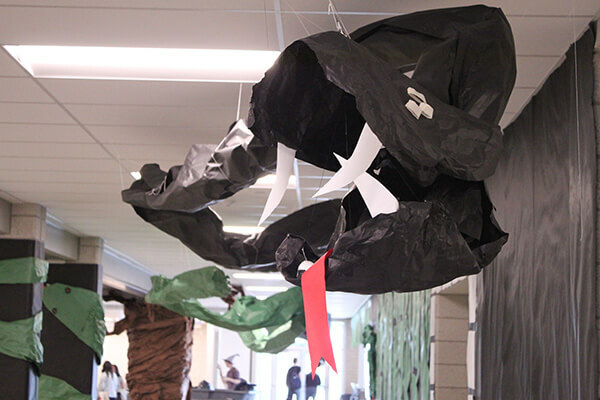 Jason Schlenz’s class used the experiment as an introduction to the Matter Unit for their science class. They will learn more about chemical and physical reactions such as color change, heat, hardness, softness, solid, liquid, or gas. 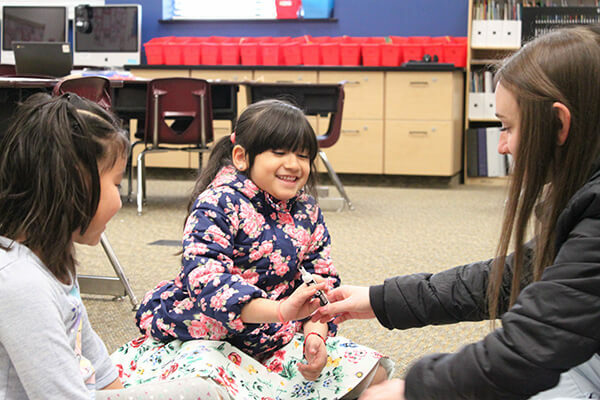 “Reaction Time” is the Discovery Gateway Museum’s outreach program that is state-funded by the Informal Science Education Enhancement program. 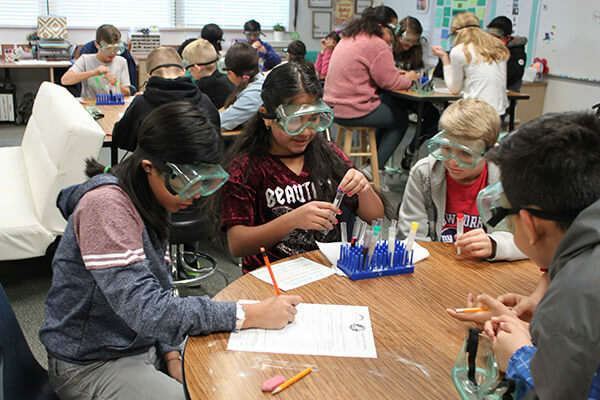 They utilize the fifth-grade science core standard which states, “Understanding that chemical and physical changes occur in matter.” This is the program’s 10th year of enhancing the learning of science to the students of Utah.